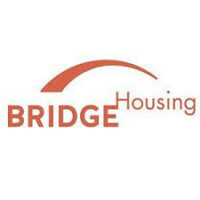 BRIDGE Housing, headquartered in San Francisco, has a 30 year track record of being nationally recognized as a leading developer in the multifamily affordable housing industry. BRIDGE combines a nonprofit mission orientation with the professionalism and financial competency of a for-profit company. BRIDGE currently develops and manages properties in California (with offices in Northern and Southern California) as well as Portland, Oregon and Seattle/Tacoma, Washington.